The most popular onion set you can grow! Golden in color on the outside and mild flavor on the inside makes Ebenezer a favorite onion in the kitchens of home cooks and professionals alike. The big, flattened bulbs have papery skin with a pale yellow flesh. They'll also produce a mild green onion early in the growing season--just 2-4 weeks. Harvest some of those onions for enjoying fresh, and let the rest mature to a full-size bulb. They'll hold up to long storage in a dry, cool, dark place. 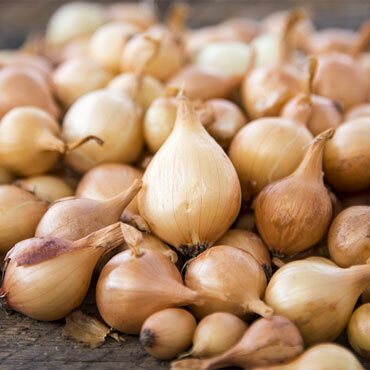 This onion set prefers planting in full sun in rich, well-drained, sandy and loamy soil. 85 days to maturity. Height: 6 - 12 inches. Zone: 3 - 9 (-30° F.) Annual. Spread: 3 - 5 inches. Days to Maturity: 85 days from sets. 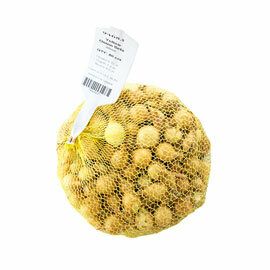 Fruit: Bulbs are flattened and have pale yellow skins. Crisp, yellowish-white flesh. Producing mild tasting green onion. Soil Preference: Rich, well-drained sandy loamy soil. pH 6.0 - 6.8. Size: 2 - 3 inches.